We have four new fanedits for you this week. 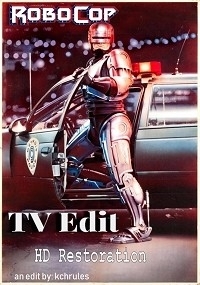 RoboCop: TV Edit HD Restoration by kchrules - This is an edit of RoboCop that attempts to recreate the heavily censored Network Television presentation in HD. The movie is cropped and pan-and-scanned to 4:3 like old TV broadcasts, and there are fade in and outs every 15ish minutes to emulate where commercial breaks would be. Swears are replaced with less offending words like "freaking", "forget", "bonehead", and "bologna". Violence is heavily trimmed down and cut as well, for example, Clarence swerves around Emil near the end instead of running him down. 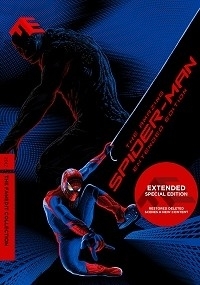 The Amazing Spider-Man: Extended Edition by Masirimoso17 - This fan edit is an Extended Edition of Marc Webb's The Amazing Spider-Man. I inserted all but one of the deleted scenes included in the Blu-Ray into the movie, making for a more complete and satisfying experience. Iron Man 2: At the Core of It by lapis molari - The arc reactor has triggered an arms race and is poisoning Tony Stark. Filled with self-doubt and alcohol, Stark must rise above his inner demons to contain the arms race, to overcome his enemies, and to find a cure. 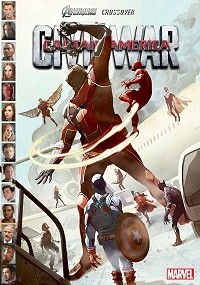 Captain America: Civil War - Marvel Crossover by lapis molari - This AVENGERS CROSSOVER focuses on the Accords and adds context to them. Revenge-seeking Zemo is minimized, as are the Winter Soldier's brain-washed actions in 1991. They are catalysts not causes. For narrative clarity, they should command less exposition than the enormously consequential Accords. This is a light edit, it shift the screen time from Zemo and Bucky\'s past crimes to the Accords and the government's attitude to the growing concern over unconstrained super-powered individuals. This is the discussion thread for Week of February 3, 2019 – New Fanedits. Post away!